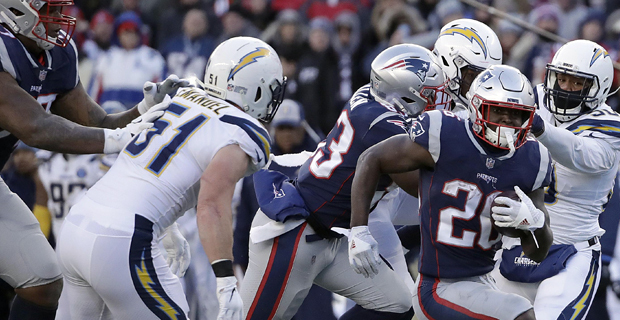 The New England Patriots beat the Los Angeles Chargers 41‑28 to reach the AFC Championship game for the eighth consecutive season. Running back Sony Michel delivered a standout performance with three touchdowns as quarterback Tom Brady passed for 343 yards. They will play the Kansas City Chiefs in the divisional final next Monday , where victory would see them reach a third consecutive Super Bowl.